Our TAB area is equipped with plenty of TV screens for you to watch every race live, with Sportsbet and Sky Channel covering all horse races, all day. We have wi-fi to connect to your favourite online tippers, plus Cazalys still prints Best Bets and Bet Busters so you have all the information you need at your fingertips. PLUS Robbie Waterhouse’ Surepick on a dedicated TAB screen. For your convenience Cazalys has six different Keno Terminals located around the club so you never have to go far. PLUS over 20 Keno screens positioned strategically throughout the Club so you never miss a draw. Then, pay for your ticket at the counter and you receive a receipt with your numbers and the games you’ve entered into. Or ask for a KWIKPIK from the friendly staff. 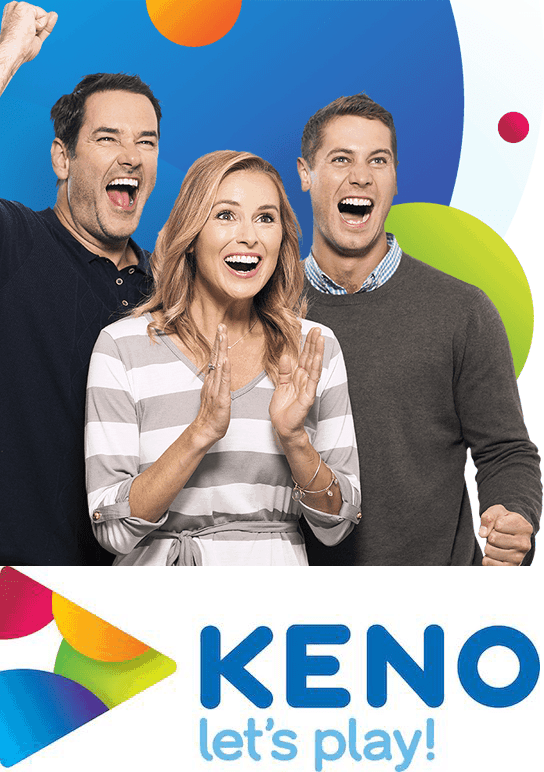 You can play Keno at a venue with as little as $1, with hundreds of millions of dollars in winning paid out every year to Keno players! New Easy Play Now Available! Now there’s a new way to enjoy a game of Keno with Easy Play! All you need to do is choose which Easy Play entry form you’d like to play and hand it to our Keno staff. There are 3 different Easy Plays to choose from, each containing a 4 number game. Bet $1, $2 or $5 it’s that easy! Keno has turned TWO lucky Cazalys member into Instant Millionaires! Connect to your favourite online tipsters with free wi-fi and watch all the action live with Sportsbet, Skychannel and foxtel. We are also a registered Sportspick venue so come on in and sign up for your chance to win the massive nation-wide prizes! Just ask the ladies behind the bar, who are always ready to help. Keno has turned 2 lucky Cazalys members into instant millionaires!